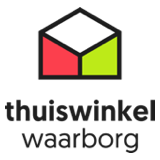 Thuiswinkel.org offers Thuiswinkel Waarborg Reviews in cooperation with KiyOh, a well known review platform with thousands of customers. Hardware.info shows reviews where the user is asked to answer many questions abour ordering, deliverytime etc. You need to register to place a review. Tweakers.net shows reviews with information about the website, shipping and aftersales. A tweakers.net account is needed to place a review. Beslist.nl shows reviews with information about ordering, service and delivery. No registration needed to place a review. 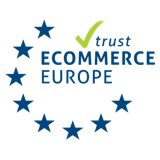 Trustpilot.nl is a website that uses external reviews next to their own review system. No registration needed to place a review. Kieskeurig.nl doesn't only show user reviews but also have their own review system. No registration needed to place a review. Snelle en vakkundige service. Goed bereikbaar en vriendelijk. Een herademing in webshop-land! Product is ok. Connected on USB-C 3.1 with an 10Tb WD Red Hdd. Speed reach the read/write limits of the hdd. I recommand the product but not the company. Doet wat het moet doen, kind kan de was doen. Heb er vandaag nog twee besteld. Fijne stevige behuizing, klein in formaat en verder geen poespas. fan hoor je iets maar niet storend.